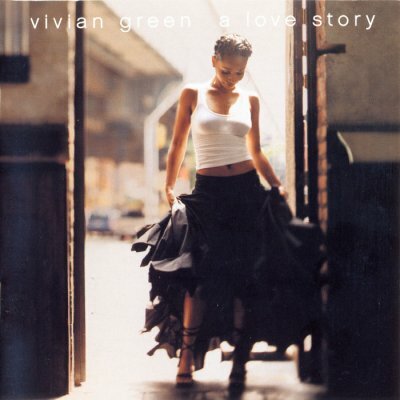 A Love Story is the debut studio album by American R&B singer Vivian Green, released by Columbia Records on November 12, 2002 in the US. The neo-soul movement spearheaded by Erykah Badu and Lauryn Hill that gave birth to Jill Scott extended to the likes of India.Arie, Nelly Furtado, and Alicia Keys, with no end in sight as, in typical major-label record company fashion, A&R people beat the bushes for every young woman of color who ever listened to an Aretha Franklin record as a child and thought, “Why not me?” Columbia Records didn’t have to look too hard for Vivian Green, a Philadelphia native who was singing backup for Scott, to find yet another contender. Green is a likable enough singer with the usual romantic obsessions and a sense of generalized vocal embellishment. Her lyrics betray the influence of Scott in their wordiness, and a group of producers provide familiar instrumental beds to support those sentiments. But Green is at her best on the largely acoustic “No Sittin’ By the Phone,” which has a jazz feel and a real sense of romantic anguish.